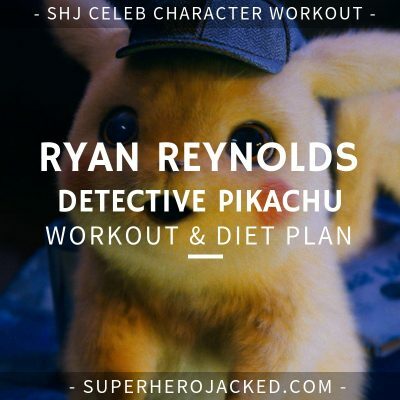 So we’ve seen Reynolds pretty ripped before, and it’s safe to say he’s doing something right! 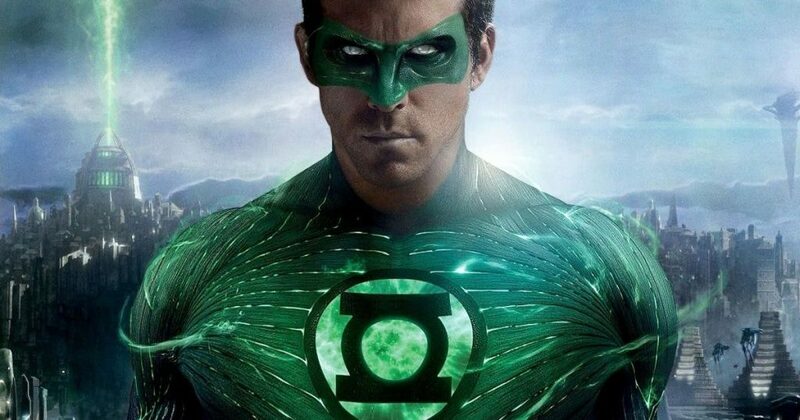 I mean, the guy has played Hannibal King (as shown above), Green Lantern, and is now in a huge role as Deadpool after portraying Wade Wilson in X-Men Origins: Wolverine. Hats off to you Mr. Reynolds. Update: He’s also voicing Pikachu in Detective Pikachu. How much more awesome can this man get!? 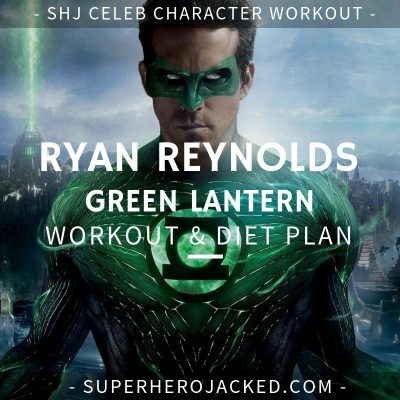 Now the question of the day becomes…How do we all get as Superhero Jacked as Reynolds? Well that’s what we’re here to find out damn it! 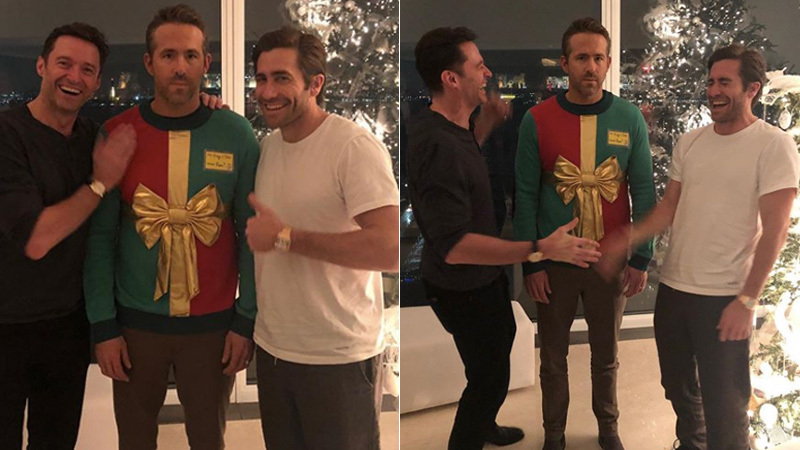 Ryan Reynolds is right there in the average height range among male celebs we’ve seen. Right in the sweet spot, he’d probably say. That average height falls in the range of 6’1-6’3 with celebs like Chris Pratt, Chris Pine, Chris Evans, Adam Driver, Stephen Amell, Clive Standen and so many more. Guys around 5’10-6’0 are dudes like Brad Pitt, Matt Damon and Jason Statham, but the ACTUAL shorter range is filled with guys like Mark Wahlberg, Zac Efron, Kit Harington, Tom Holland and more. Even taller than them are guys like The Mountain, Joe Manganiello, Ben Affleck, Jason Momoa, Ray Fisher, Winston Duke, Alexander Skarsgard and a few others. We write these routines to be utilized by any shape and size. Take the SHJ Program Quiz! Take The SHJ Program Quiz and find the perfect program for YOU. Ryan Reynolds lived like a frat boy. “I was pretty unhealthy,” he admits. “I didn’t care what I ate or what I drank.” Then came Blade: Trinity, and the comic actor got serious. 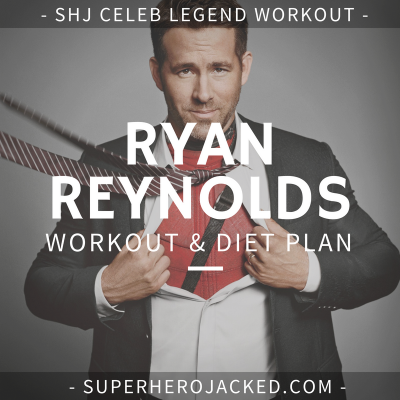 After three months, six-day-a week workouts, and a 3,200-calorie daily diet, Reynolds gained 25 pounds of muscle. While you may have to bulk up or even cut down, these celebrities don’t have a magic Superhero pill that they take. You can do it too. Now I’m starting to sound like an off model of Thomas the Tank Engine. Hats off to everyone who needs to bulk like this. 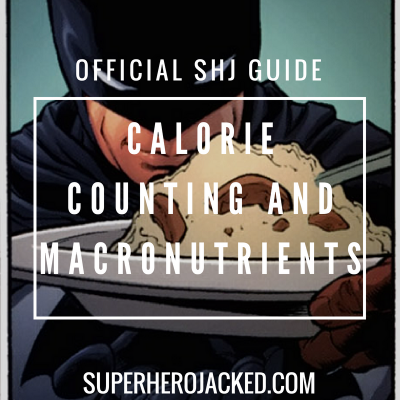 Everyone who’s used to just cutting thinks it’d be so easy to gain the weight if we needed to bulk the same way, when in reality – you guys actually have to shove your face full until you feel like you’re going to explode! We see a lot of celebs opt for a sustainable approach like this. That’s why our Academy Nutrition Classes (Monks, Minimalists, SuperHumans, Vikings, Spartans, Hunter Gatherers, Greek Gods, Samurais) revolve around helping you find the specific diet that is right FOR YOU. Of course, there are a lot of reasons to HAVE the strict guidelines. We’ve seen a lot of celebs opt for specific restrictions. For example: Dwayne Johnson and Kevin Hart incorporate 80/20 dieting with big weekly cheat meals, Hugh Jackman, Benedict Cumberbatch and Terry Crews utilize intermittent fasting(something I use daily as well), Mustafa Shakir and Madelaine Petsch are vegans, Brandon Routh and Frank Grillo opt for paleo, and tons of others utilize their own variations as well. And, that’s just to name a few celebs from each, by the way. You can check out our Nutrition Pillars for more information and articles on all of the above and more. “This stud out-benched me in the gym Sunday. Nice meeting you Adley,”. 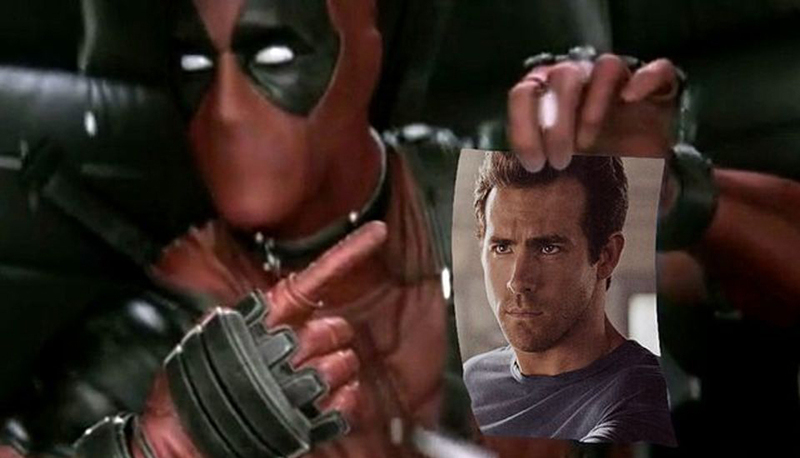 Reynolds is even rockin’ a nice slash in his eyebrow during the workout, which he’ll use to portray a better Deadpool. 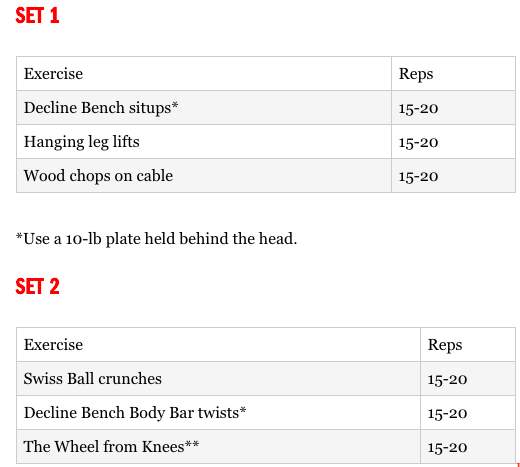 I was also able to find a specific circuit and ab routine that Reynolds specifically told Men’s Fitness he utilizes. That, and multiple workouts from outside interviews that tie back to Reynolds, is what I’ll be using to build the routine. 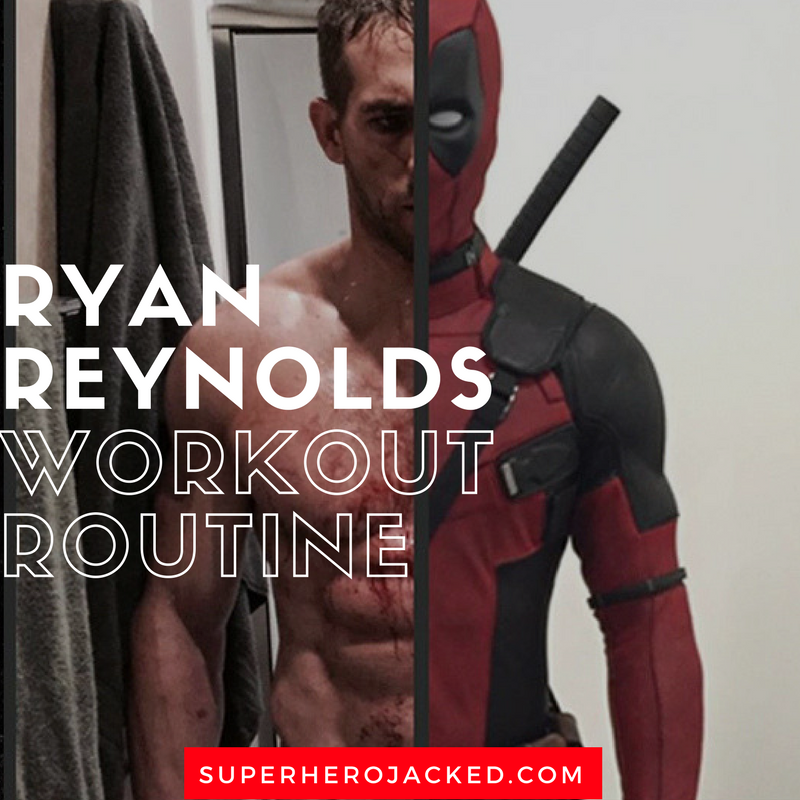 For Deadpool 2 Reynolds wanted to be as shredded as the first, if not more, so he teamed up with celeb trainer Don Saladino to get himself to work! 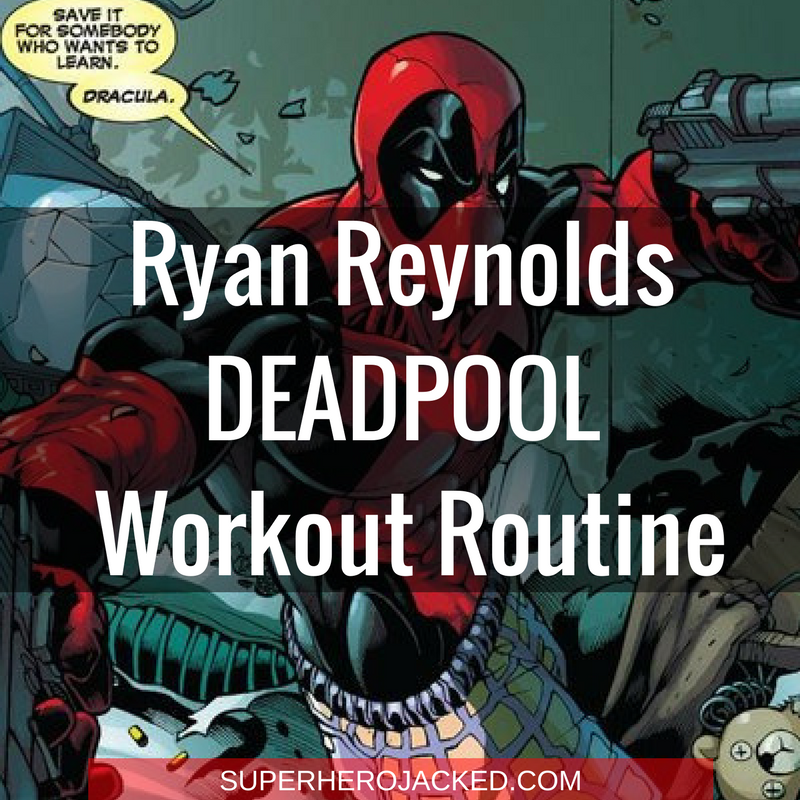 Luckily for us: everyone wants to train like Reynolds, so the Deadpool 2 training regime was picked up by a ton of big sources. Saladino and Reynolds share information about the workout (including direct specifics) with Muscle and Fitness, Men’s Health, and Men’s Journal. We’ll be utilizing all of them to build the full routine! “I think there is confusion that the program is what’s going to make the individual look a certain way—there’s more than one way to get things done,” he says. 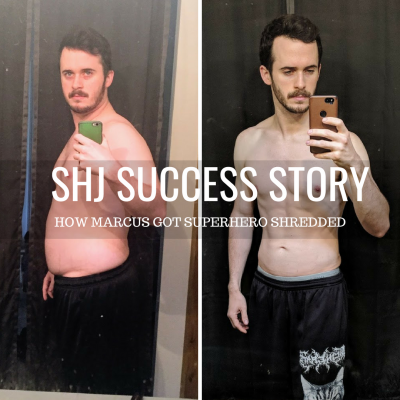 “If you want abs like Ryan Reynolds’ in Deadpool, we can get you there with an old-school 8×8 with 30 seconds of rest, or a power-building program, or a kettlebell program—it doesn’t have to be the same program we gave Ryan.” The malleability in his programming hinges on factors such as diet, stress levels, sleep, and recovery efforts. Determining those creates better insight for training frequency and volume. So, at the end of the day: fine the routine that is most sustainable FOR YOU. Let’s do this. 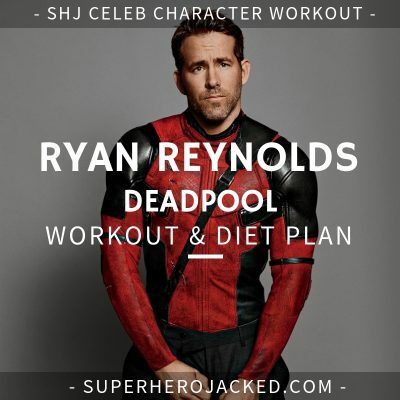 Scroll way down for Ryan Reynolds workout version two. 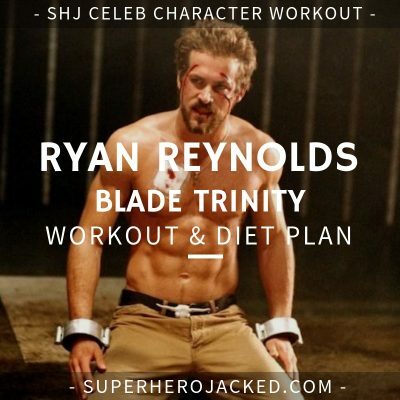 Reynolds has been shredded for multiple movie roles, not just the ones he portrays a Superhero (although those are always the most badass). This workout will be a mixture of the new workout material we’ve seen from him, combined with other routines he’s been said to use. Do one of each set then repeat 4 times. Reynolds and Saladino used a lot of supersets and circuits while training, and those are what they tend to share with sources. But, I was also able to find Saladino’s programming that doesn’t have as much flair to it, which is what they utilize when the workout isn’t “Level 10 on the workout meter” as Saladino would call it. Saladino likes utilizing full body and circuit training. So prepare yourself! Letters (A/B) represent a superset. So, you’ll perform both exercises back to back with no rest until you’ve performed all of the reps for both exercises – which equals 1 set. Do not stop in between sets or rounds (unless otherwise stated). Keep going until all reps and rounds are completed. Perform 5 rounds as a circuit at about 85% intensity. Rest 30 seconds between rounds. Circuit 1: Practice each move for 2 minutes. Do 3 to 5 rounds. Circuit 2: Perform as a circuit for 3 rounds; rest 2 to 3 minutes between rounds. Complete 3 rounds of Circuit 1, followed by 5 rounds of Circuit 2, finishing up with a 5-round finisher. 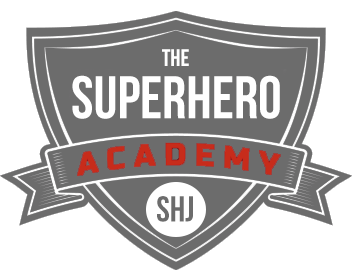 Check out all The SHJ Programs and start unleashing your inner SuperHuman.